If you live in South Carolina, you probably know a thing or two about muscadines. These thick-skinned, juicy morsels comprise a unique variety of grape native to our neck of the woods. In fact, muscadines and their close cousins, scuppernongs, can be found growing all over the South and have long been used in jams, jellies, and pies. Of course, they’re also delicious right off the vine. 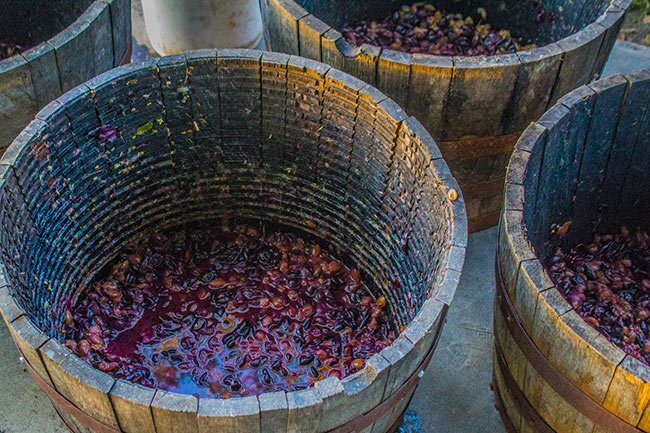 When crushed and fermented, muscadines make a sweet wine – so sweet, some say, it resembles grape juice. Early colonists drank it by the gallon in Spanish Florida, and along with moonshine, it enjoyed considerable popularity during the long years of prohibition. Since then, however, many have come to eschew the strong flavor, opting for more subtle, conventional wines instead. 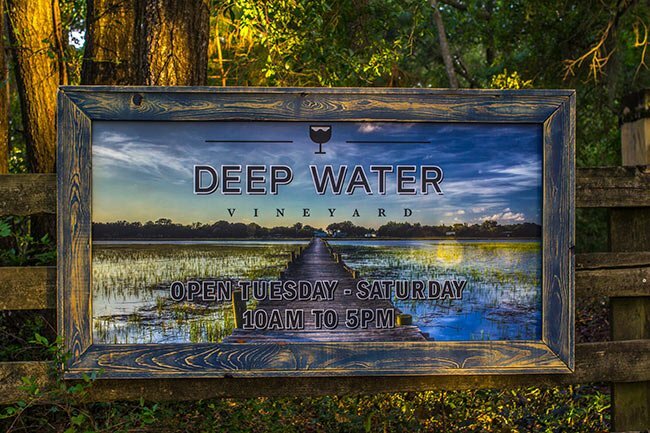 Wadmalaw Island, just south of Johns Island and Charleston, is home to Deep Water Vineyard, where muscadine wine is making a welcome return. The property was previously home to Irwin-House Vineyards. In 2001, avid gardeners Jim and Ann Limehouse Irvin decided to retire to a quiet life in the country. They purchased 2,600 muscadine seedlings in four varieties. Carefully planted along rows of posts and guide-wires, the seedlings have since been cultivated into tremendous vines, burgeoning with ripe fruit. The Irvins eventually branched out, distilling flavored vodkas, including Firefly, a muscadine wine-infused vodka that has seen tremendous success. In 2006, the pair partnered with veteran distiller Scott Newitt and released a second flavored vodka – Firefly Sweet Tea – which has caused quite a stir not just locally but nationally. With the financial success of Firefly, the Irvins sold the vineyard to Jesse and Andrea Freiwald of Minnesota in 2015. 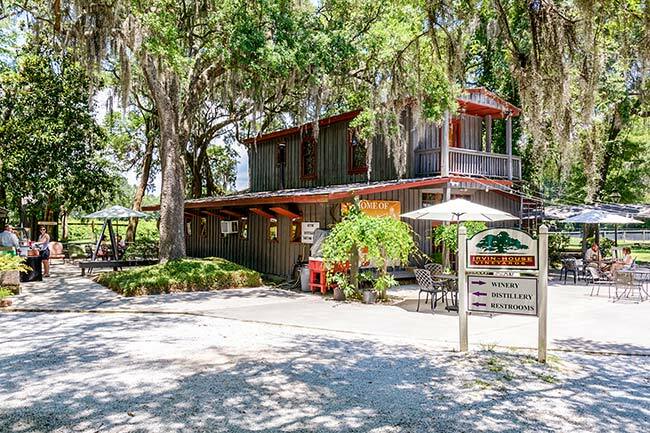 The Firefly Distillery currently remains at the Wadmalaw site, but plans are in place to move it to North Charleston, where it will operate starting in 2019. The tea used in Firefly’s vodka is harvested, at least in part, at the Charleston Tea Plantation, also located on Wadmalaw Island. 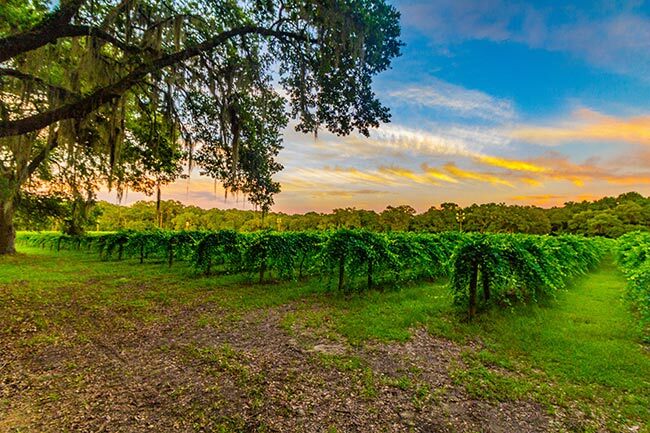 The vineyard is a member of the South Carolina National Heritage Corridor Farmers Association which cuts across 240 miles, including coastal regions, mountains, and plains. 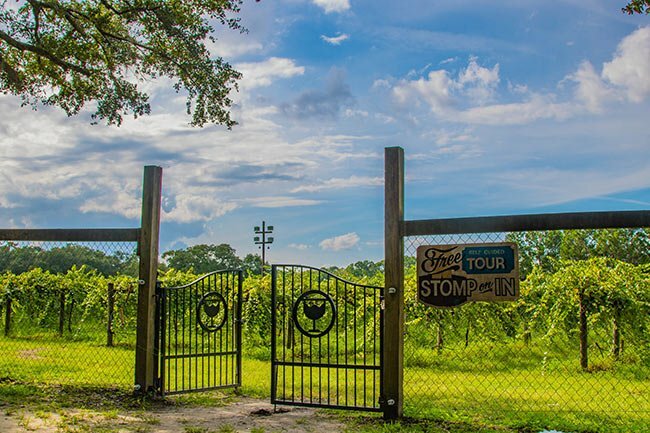 Visitors to the vineyard are encouraged to take a self-guided tour of the fields and also stop by the tasting room. Here, they may sample each of the five wines produced here and purchase bottles to take home. 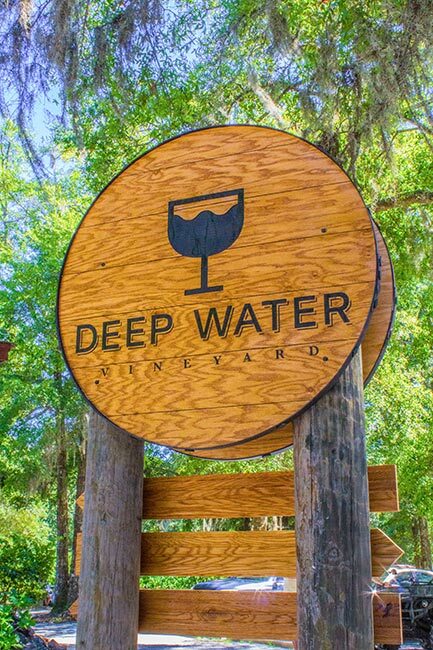 Learn more about South Carolina Vineyards and Wineries. Are you open to the public. What hours and days? Thanks!